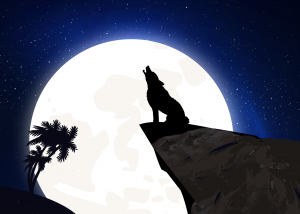 Do wolves howl at the moon and why is this belief so popular? If wolves are synonymous with one thing, it would have to be howling. Wolves are so popular for howling that there are so many myths, stories, and beliefs surrounding how, when and why these creatures howl. But the most persistent belief concerning wolf howling has got to be the idea that wolves howl at the moon. This entry was posted in Wolf Information and tagged do wolves howl at the full moon, facts about wolves, why do wolves howl, wolf howling, wolf pack, wolves on December 13, 2017 by Roselyn Onuche.